Were there any summer camp experiences that changed your life? For one 8-year-old attendee of the Detroit Zoo’s Summer Safari Camp, the world is a lot bigger, his voice more strong. The Detroit Zoological Society offers many education programs for children of all ages, and Asher, 8, had a particular interest in what is known as the Eco Camp. His mom, Amy, said that while Asher has always been empathetic towards animals, having the opportunity to learn more about the Zoo and the animals residing there was exciting to him. One aspect of camp in particular stuck out the most for Asher: storytelling time. 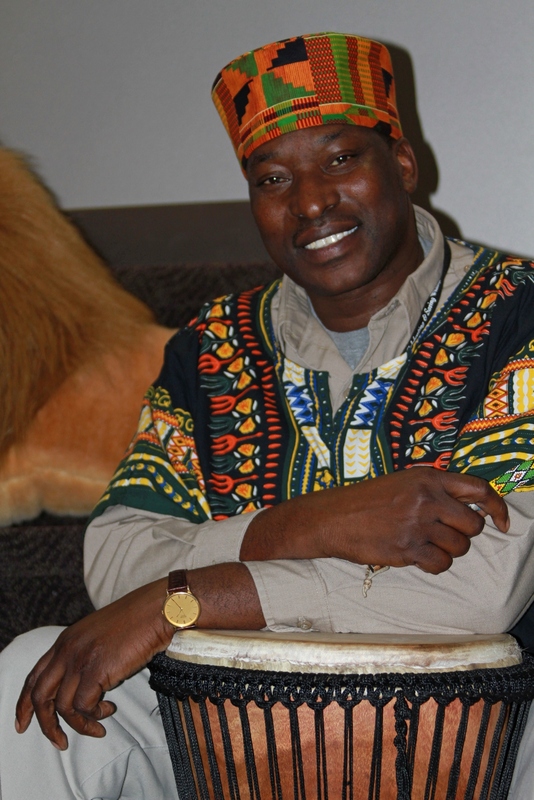 Education Specialist David Gakure, who was born and raised in the Republic of Kenya, encourages children to find their voice. He aims to create a place where children feel comfortable to speak up and share their stories. David uses a variety of methods to help children feel comfortable and bring out their voice. He encourages children to share stories about animals and nature by prompting them with questions. Every time the opportunity arose to tell a story, Asher always raised his hand. At the end of camp, David encouraged the children to go out and write down their stories. 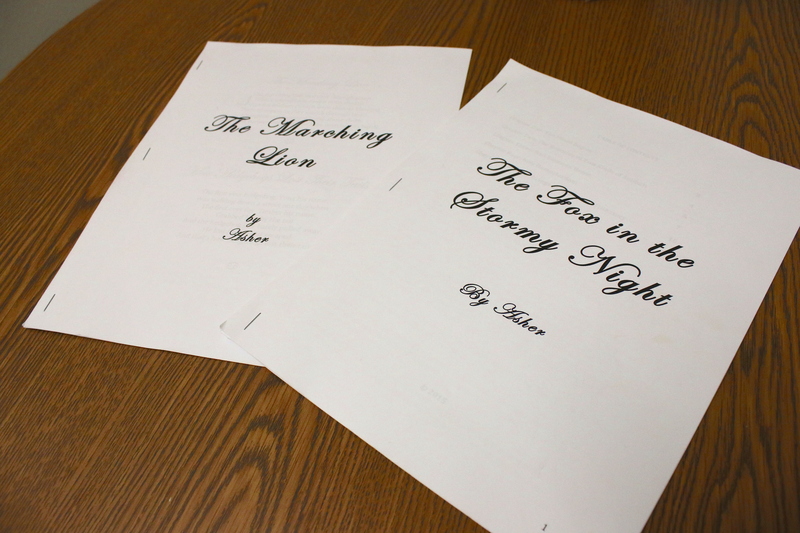 Asher took the idea and ran with it, writing a 12-page short story, titled “The Fox in the Stormy Night”, as well as a book of 14 animal poems, called “The Marching Lion”. He mailed copies of his work to the Detroit Zoo, much to the delight of staff. Asher’s mom, Amy, said he has written 10 more short stories since. Amy was thrilled with Asher’s experience at the Zoo. Finding your voice and sharing it with others is not always easy, especially for children. Asher didn’t realize how big his voice truly was until his experience at Summer Safari Camp. Click here to learn more about the Zoo’s education programs. I am in the Xinjiang province of northwest China, continuing a project that focuses on the conservation of snow leopards. 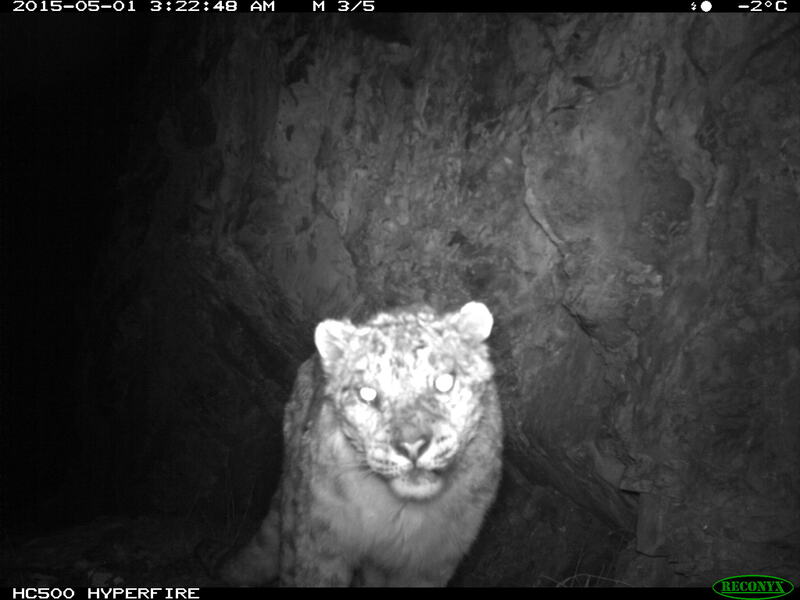 In this project, the Detroit Zoological Society (DZS) is working with Chinese colleagues to learn more about the current status of snow leopards in the Tien Shan Mountains, a need highlighted in the most recent conservation plan of the Snow Leopard Network. We are using trail cameras and interviews with herders to assess the population size of snow leopards and their potential prey, such as ibex. 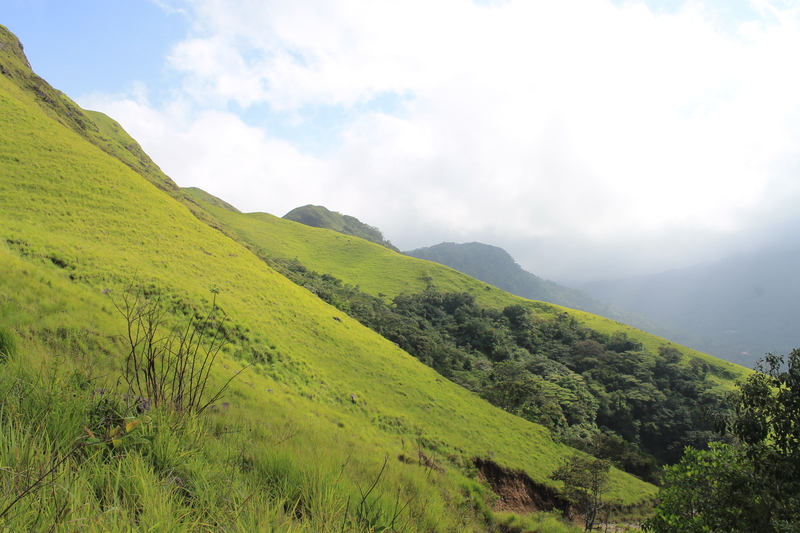 Eventually, we hope to use this information to set up protected areas. We also try to learn about threats to leopard conservation from human-leopard conflict. This conflict arises when leopards kill livestock, such as sheep, and herders retaliate by killing leopards. We set 20 trail cameras last December, and checked them in March before setting another 30 cameras. 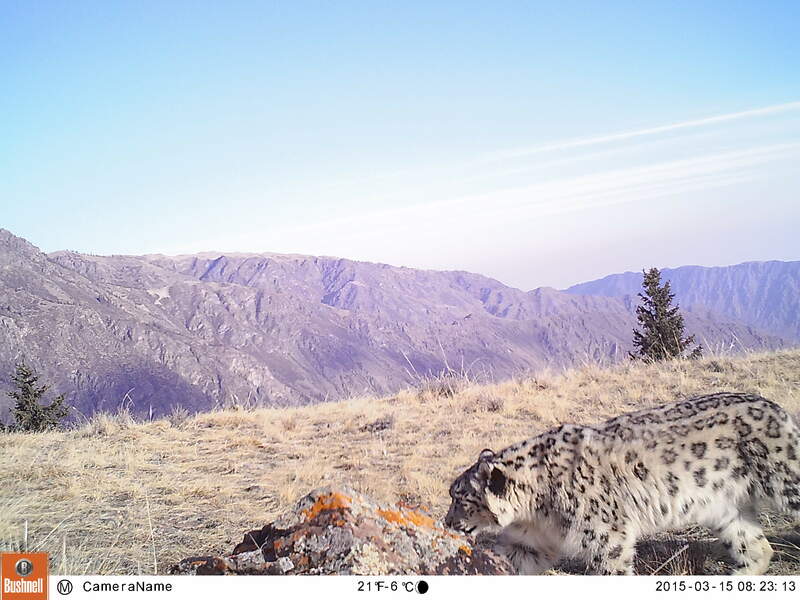 These cameras were checked again in July, and there were more than 400 pictures of snow leopards from 35 cameras as well as pictures of other carnivores, including wolves and foxes and potential prey such as ibex and red deer. This time, I returned to China with several objectives. First, I wanted to download the pictures and begin analysis to see how many leopards were represented in the pictures. I also wanted to visit for the first time the field site south of Urumqi, the capital of Xinjiang. Finally, I was also very keen to check on progress in setting up protected areas. As for my first objective, there were some great pictures. 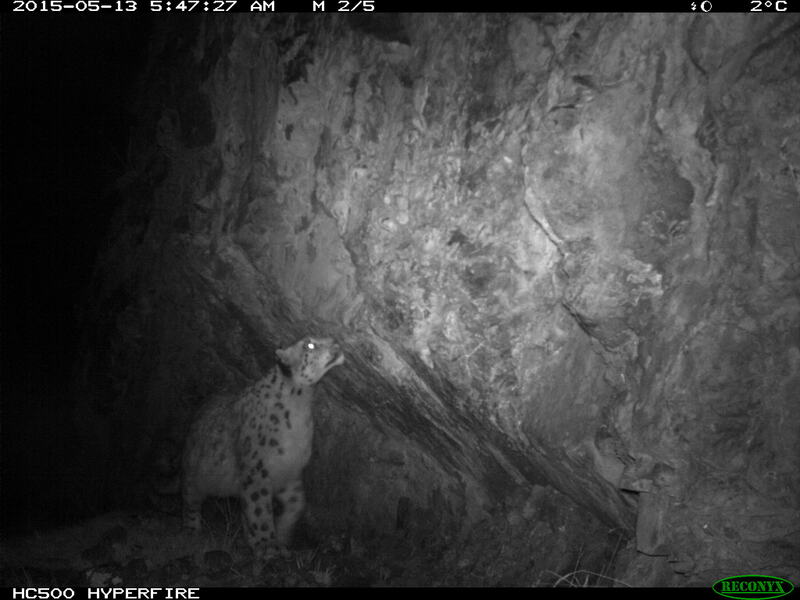 In fact, several cameras had pictures of more than one individual leopard. For example, there was a picture of a leopard spraying rock with urine and another leopard investigating it afterwards. There was also a picture of a leopard visiting a vulture nest. There were no eggs or hatchlings in the nest, but it was very interesting to see that a leopard could even access such a difficult to reach site. There were at least two individuals on other cameras as well, but it is still necessary for more analysis to see how many more individual leopards are present to estimate population densities. It was also very interesting to visit for the first time the study site 50 miles south of Urumqi. 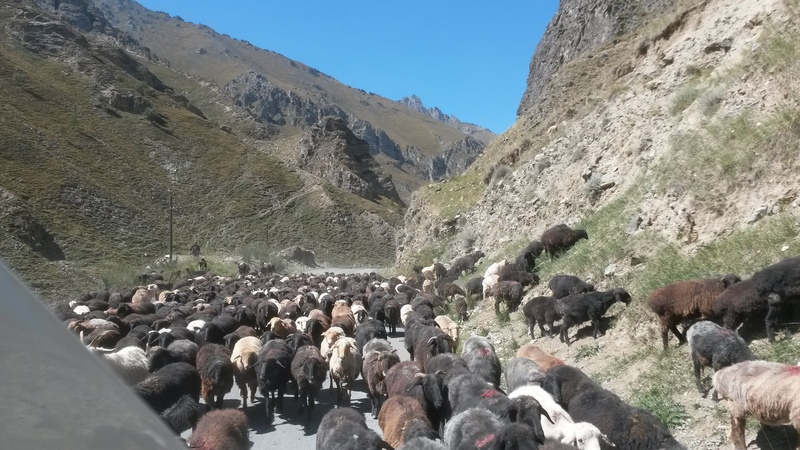 Unfortunately, at this time there was little wildlife because it was a very busy time with herders moving their flocks down from summer pastures. But it was nice to learn that there was little human-leopard conflict here unlike at field sites to the west. In fact, the herders accept some leopard predation on their livestock somewhat like the price of doing business, while other herders are much more concerned with the bottom line and don’t put up with leopard predation, which is an interesting cultural distinction. I was also very happy to complete a report with our Chinese colleagues for submission to the Chinese government. The report proposes establishing eight protected areas in the eastern Tien Shan Mountains, and our camera data were a critical component. A similar report for the western Tien Shan Mountains is forthcoming. Unfortunately, the ever-growing exotic pet trade creates situations that signiﬁcantly compromise the animals’ welfare and result in people turning to the Detroit Zoo for help. Although we wish we could provide sanctuary for all animals in need, we are unable to accept them in nearly all cases. Am I able to meet the animal’s physical and psychological needs for his or her entire life? Do I have the time and the money needed to properly take care of this animal? Do local ordinances or laws prohibit owning this kind of animal? Will my veterinarian be able to provide his or her medical care? How much am I able to spend on veterinary costs? What will I do if there is a problem? Will this animal get along with animals that are already in my home? Remember that dogs and cats have changed over several thousand years of living with humans and are the best nonhuman companions for us. Humane societies and rescue organizations are great resources to ﬁnd a dog or cat for your family. If you’re ready to adopt, join us this weekend at Meet Your Best Friend at the Zoo, one of the nation’s largest off-site companion animal adoption events, where hundreds of dogs, cats, puppies and kittens will be available for immediate adoption to loving homes. You can also visit http://www.petﬁnder.com to ﬁnd rescue organizations located nearby. 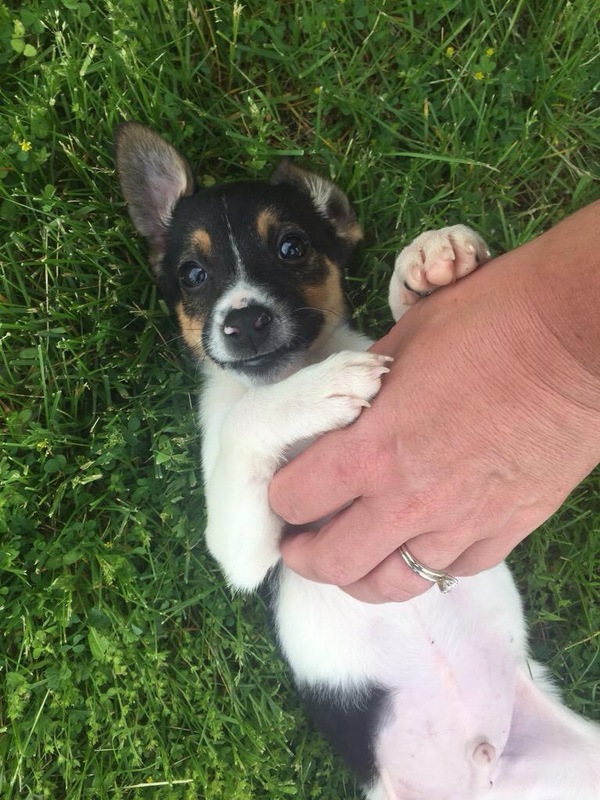 They’ll be able to support you in ﬁnding the perfect companion animal for your family! Getting to see nature up close and personal is amazing – especially birds, which many of us are able to do from the comfort of our homes. 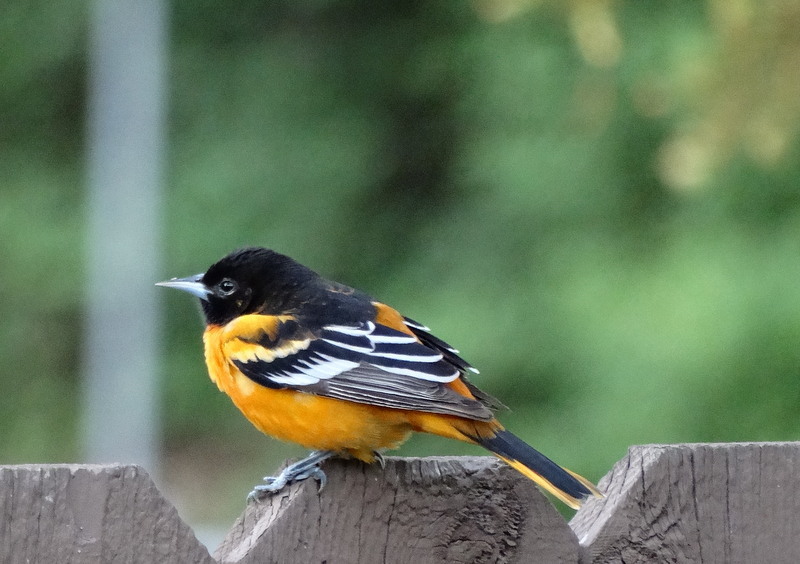 I love to bird watch, and I have bird feeders at my house, as I’m sure many of you do. I enjoy seeing birds as they fly around, forage for food, interact with each other, and raise their young. We have bird feeders at the Detroit Zoo and Belle Isle Nature Zoo as well, which attract many airborne visitors. We have to be vigilant, however, because we want to protect these incredible species as we invite them to join us in our outdoor spaces. Millions of birds are killed each year in the U.S. alone because of structures that are built by humans, and among the main culprits are windows. They let in light and they provide us with views, but they also confuse birds and create a very dangerous situation. Humans and birds have very different visual systems, and what appears to us like a see-through barrier does not look that way to birds. The glass appears invisible to them and often acts as a reflective mirror. Because they can’t see the glass, birds will often fly into a window. This is a deadly phenomenon known as “bird strike”. Windows are not a new threat for birds; however, this serious animal welfare and conservation issue does not get as much attention as it should. There are programs designed to bring attention to bird strikes and reduce the impact on birds, including the Lights Out program. There are also individuals who have devoted their careers and lives to the issue, such as Dr. Daniel Klem Jr., an ornithology professor from Muhlenberg College who spoke about his decades of work on this topic at the third International Symposium on Animal Welfare hosted by the Detroit Zoological Society and our Center for Zoo Animal Welfare in November of 2014. The great news is that there are things we can all do to help prevent birds from suffering. 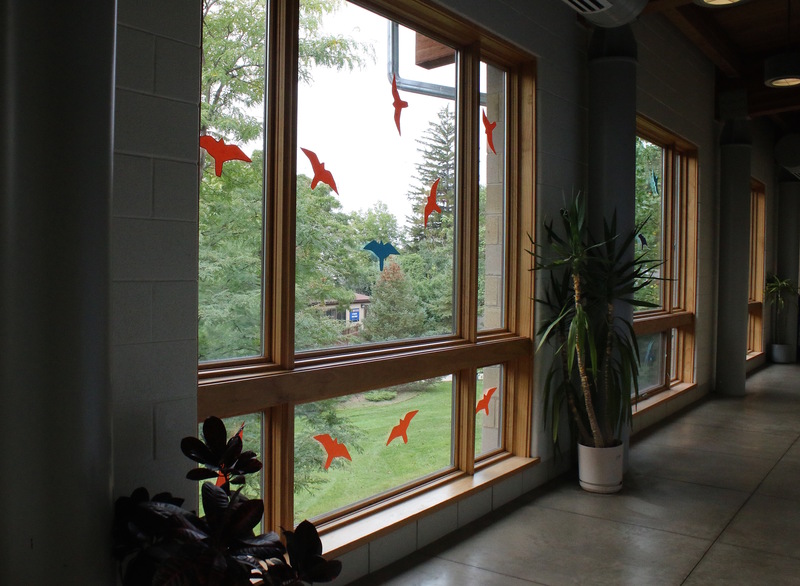 We can put up bird silhouettes on our windows (you will see many on the windows throughout the Zoo), or reflective tape. There is even special film and glass that can be installed that takes advantage of the fact that birds see in the ultraviolet range so that windows that seem clear to us are now seen by birds as real barriers. 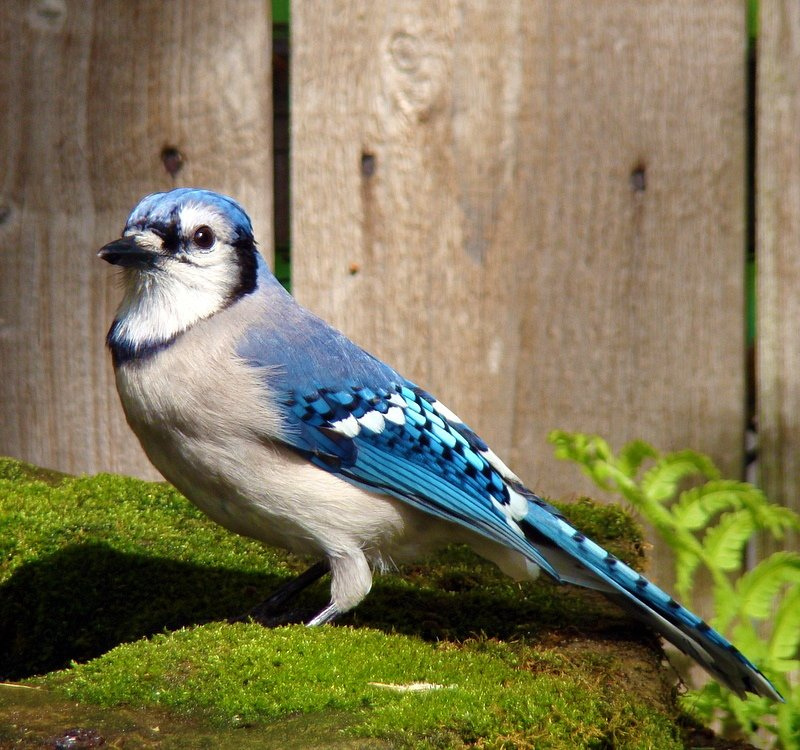 If you have bird feeders, don’t put them further away from your windows than 3 feet. This means that birds can come enjoy the food, but won’t gain enough momentum to harm themselves if they take off towards any windows. 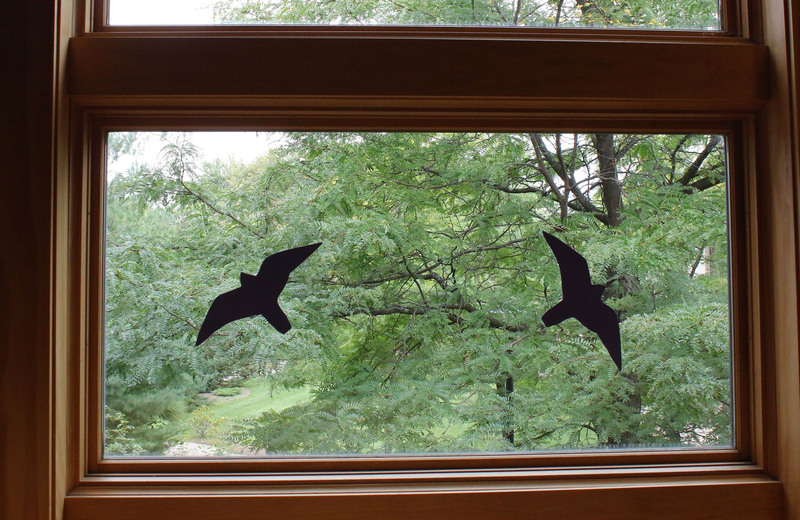 Use your blinds if you have them – this also lets birds know that they can’t fly through. We truly have the ability to make a difference in the lives of individual birds that share the world with us, and in turn, help protect their species. I recently returned to northern Michigan with staff from the Detroit Zoological Society (DZS), Grand Valley State University (GVSU), and Busch Gardens to continue studying the behavioral ecology and conservation of American martens. 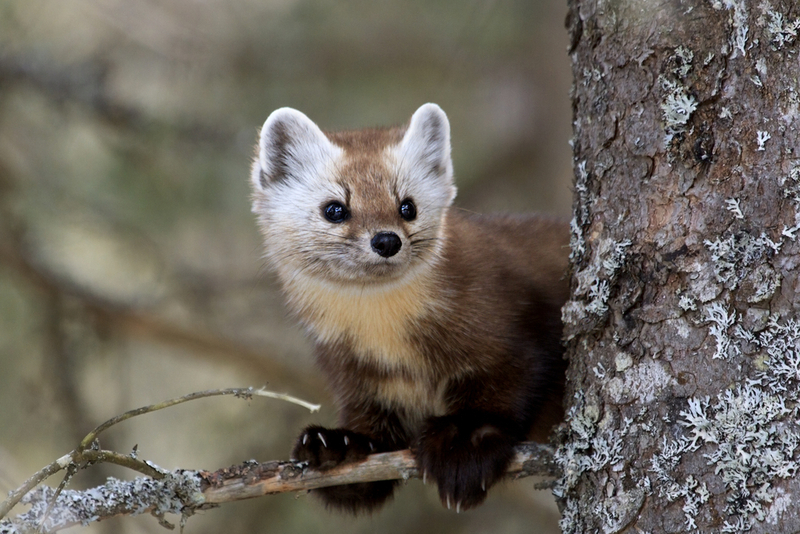 American martens are small carnivores that are weasel-like and largely arboreal, which means that they live in trees. They were hunted out in Michigan’s Lower Peninsula by the early 1900’s and reintroduced to the Manistee National Forest nearly 30 years ago. We are studying the success of marten reintroduction by looking at marten health, survival of their offspring, known as kits, and habitat use. These data will be used to see how the forest can be better managed by the U.S. Forest Service to benefit martens. DZS veterinarians have helped in the past to put radio-telemetry collars on the martens to track their locations. 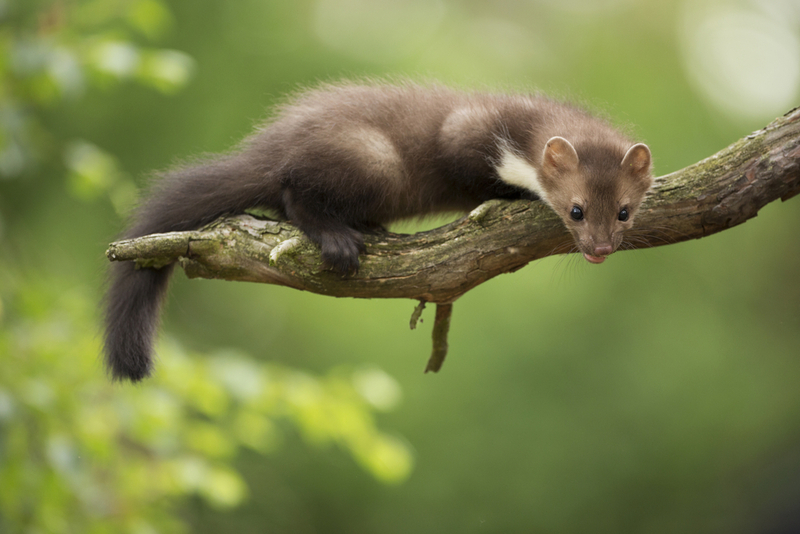 However, this technique, which involves capturing the martens in live traps, is very labor-intensive, and only provides information on marten locations a few times per week. The DZS provided funds for GPS collars that use satellite positioning data to record marten locations every half hour and gather much more accurate information on marten ranging and habitat use. In fact, we’ve been able to retrieve data from one of the collared martens and it is giving us great information on how the marten is using his habitat. During this visit, our task was to help set the live traps with venison as a tasty treat for the martens and placing a stinky concoction called “Gusto” around the traps to attract martens from far away. We captured one marten, but as it turns out, that marten had been previously collared. This marten was special, however, because it had been orphaned and fed by GVSU students until its independence. The marten’s mother had been found dead on the side of the road, so the students decided to catch mice and leave kitten chow for the young martens left behind until they reached adulthood. We also had the opportunity to follow two other martens wearing radio-telemetry collars. We were able to see the tree dens they were using and observe the martens high up in the trees. All in all, it was a wonderful trip. Recently, I found myself trekking through the jungle, holding a machete, in search of the perfect piece of wood. This wasn’t a typical day of work for me with the Detroit Zoological Society (DZS) – I’m usually found in the National Amphibian Conservation Center (NACC) at the Detroit Zoo, changing filters, cleaning misting lines and feeding tadpoles. But on this particular day, I was in El Valle, Panama, a small town situated in the valley of an extinct volcano; the historic home to the Panamanian golden frog (Atelopus zeteki), a species that is critically endangered in the wild. 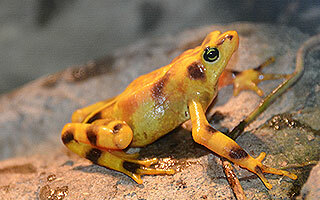 The DZS has maintained a breeding population of Panamanian golden frogs at the NACC since the year 2000 as part of the Association of Zoos and Aquariums’ Species Survival Plan, a cooperative management program that ensures genetically healthy, diverse and self-sustaining populations of threatened and endangered species. Since I personally care for and breed this delicate species at the Detroit Zoo, it was truly awe-inspiring for me to travel to Panama; to see and experience the tropical cloud forest habitat that was home to the golden frog until the late 1950s, when the last sightings were reported in the area. Like many amphibian population declines worldwide, the threat to the Panamanian golden frog is a multi-pronged, human-induced sucker punch of climate change, de-forestation and over-collection for the pet trade. Also, a very serious parasitic fungus known as Batrachochytrium dendrobatidis or “chytrid Bd” [ki-trid] became present in the area. This fungus thrives in the environment of a cloud forest and caused a dramatic decline in amphibians through the region. Despite the thrill of viewing some amazing wildlife on our walk through the Panamanian jungle, I wasn’t there to enjoy the scenery. 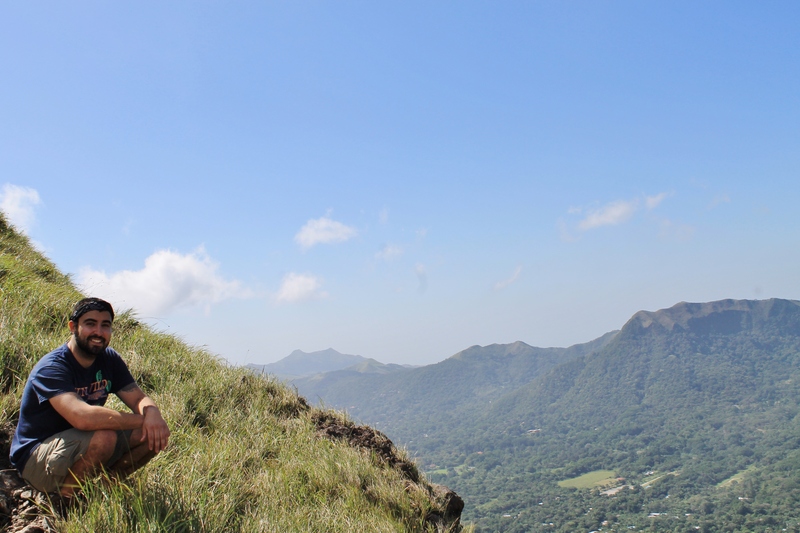 My purpose in traveling to El Valle was to assist the limited staff at the El Valle Amphibian Conservation Center (EVACC), a small conservation center dedicated to breeding and researching the country’s most endangered amphibians, as well as educating the community in Panama about the amphibians in the area. For two weeks, I trained the staff at EVACC on habitat design and maintenance. I shared techniques for designing water features, drilling enclosures for bulkhead placement and “propping” habitats – gathering supplies like logs, plants and rocks to create a naturalistic environment. 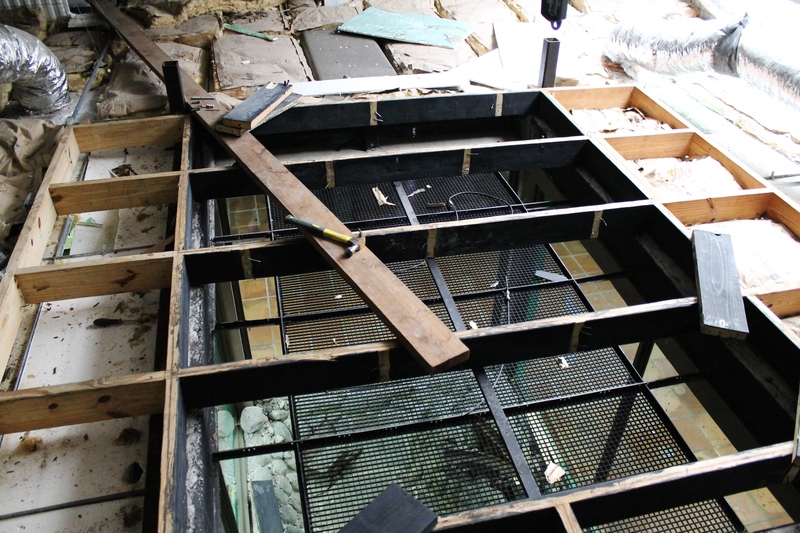 One day was dedicated to removing and replacing an old “roof ” of a habitat planned for golden frogs, which was the size of a living room. Other days involved finding things like sticks, logs and foliage to prop the habitats, and since all of the animals were from the surrounding area, most of what we were collecting could be found and disinfected within the grounds of the conservation center. The EVACC’s newly designed habitats would be playing an important role in the “Golden Frog Day” in El Valle, a celebration of the magical amphibian that once lived and thrived among the misty forests of the mountains. Without public support in its country of origin, there could be no future for this animal. With newly renovated habitats and the beauty of this vibrantly colored amphibian, visitors to the center can begin to understand the value of this species and the power it holds as members of the community work to conserve it. A true reward for all of this hard work and training came several days after leaving Panama, when I received an email from EVACC staff informing me that they had drilled their first tank and were using techniques that I taught them to install a new waterfall feature. While I had ditched my machete and my head lamp, no longer needing to trek into the jungle for my work with the Panamanian golden frogs at the Detroit Zoo, I know that the work we are doing some 4,000 miles away from their home is just as critical to the survival of this incredible species. – Mark Vassallo is an amphibian department zookeeper for the Detroit Zoological Society. 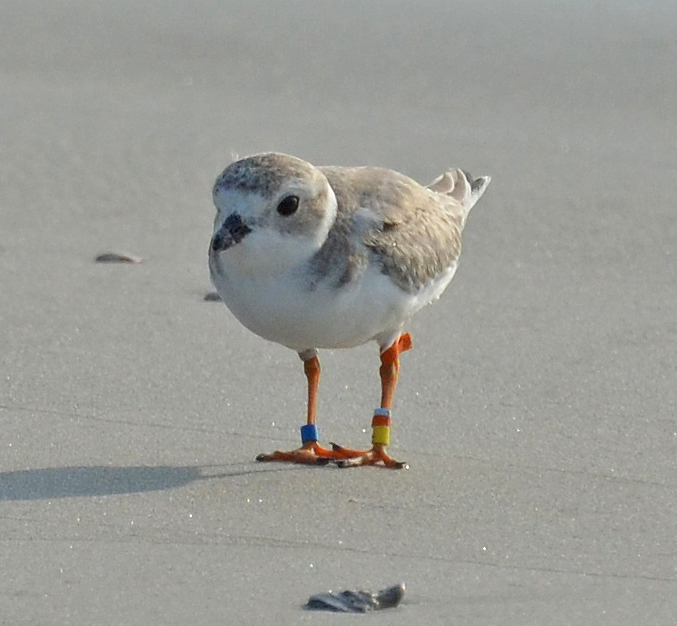 From his first moments on Earth, a tiny piping plover nicknamed Smalls required round-the-clock care. He had difficulty hatching, experienced issues with his umbilical cord, developed a crooked toe, and caregivers were concerned he may have eye problems. He also remained quite small for his age as the days and weeks went on. Those who cared for him did so with determination as they focused on his recovery and development. Despite his many physical setbacks, Smalls survived, and has become a symbol of the power and importance of one. 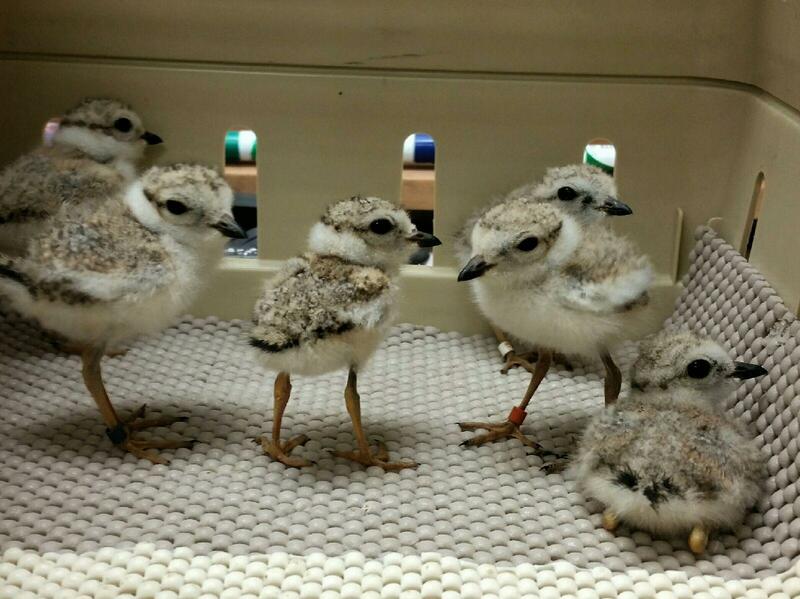 Smalls is a part of a Detroit Zoological Society (DZS)-led conservation effort and captive-rearing program that is focused on increasing the population of piping plovers, an endangered species of shorebirds. Abandoned eggs are delivered to the University of Michigan Biological Station in Pellston, Mich., and the DZS oversees field workers from the Detroit Zoo and other Association of Zoos and Aquarium institutions who staff the facility May through August, monitoring the incubation period and caring for the chicks after they hatch. Once they are able to fly after about four weeks, the birds – that would have otherwise perished – are banded and released into the wild. As they migrate to their wintering grounds, the plovers are identified by birders and photographers who report their findings to the U.S. Fish and Wildlife Service. This summer, seven piping plover chicks were released from northern Michigan, and five have since been spotted by birders – one in South Carolina and four in Florida. DZS staff were especially thrilled to discover that Smalls was among those identified – he was photographed earlier this month by Pat and Doris Leary on a beach on Little Talbot Island in Florida. This tiny piping plover represents the importance of one and the DZS’s commitment to all the “ones” in its care, whether they are endangered or not. In Smalls’ case, being a part of an endangered species makes his significance even greater, since every individual is important to the recovery of Great Lakes piping plovers. The Great Lakes population of piping plovers is now at 73 breeding pairs, setting a record of the highest number of wild pairs since the plovers were put on the endangered species list in 1985. The 207 captive-reared birds from the DZS program and their descendants have made a significant contribution to this small population. For more information about the work being done by DZS and its collaborators, visit the Great Lakes Piping Plover Recovery Effort’s website, Facebook and Twitter.